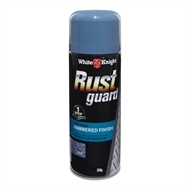 White Knight Rust Guard Hammered Finish is an aerosol delivered, rust inhibiting topcoat that transforms rust into a professional, long lasting colour finish in one easy step. 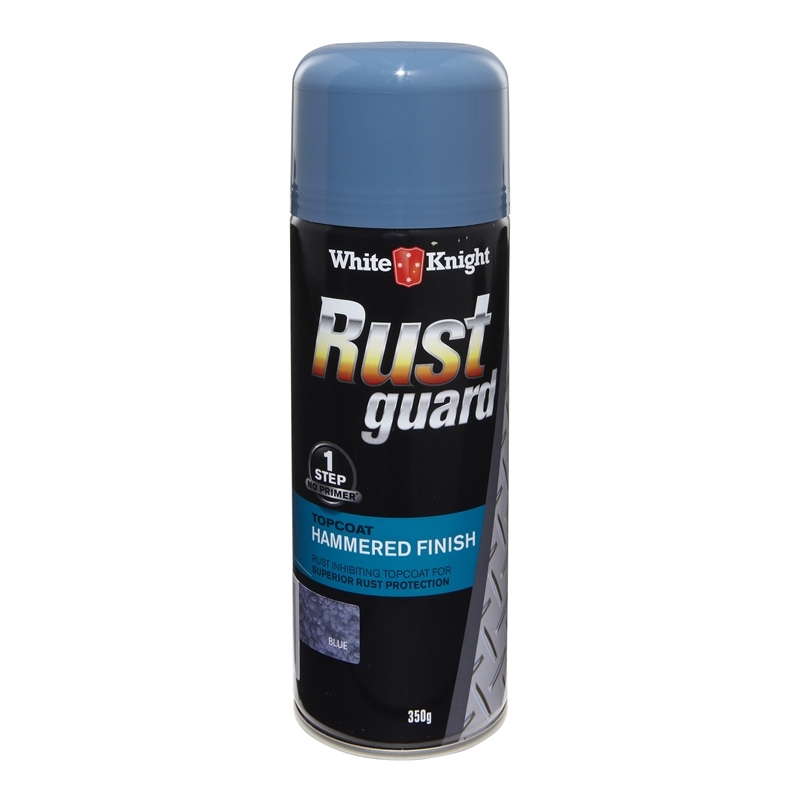 White Knight Rust Guard Hammered Finish is ideal for concealing scratches, joints and surface imperfections on metal fences, roofs, doors, gutters, downpipes, windows, railings and gates. To prevent nozzle blocking, after use turn can upside down and press button until only gas escapes. Overspray can be removed while still wet with White Knight Rust Guard Solvent or mineral turps.